Fifa 14 managed to reclaim the top spot in the UK game charts, which it lost to the Tom Raider: Definitive Edition which is now down to 4th spot in the recent game rankings. 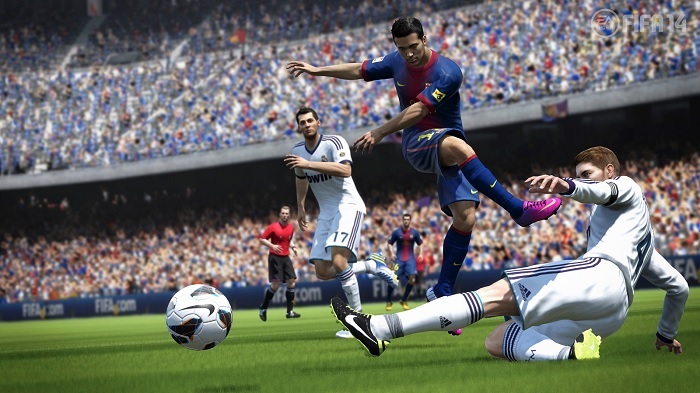 Fifa 14 is followed by Call of Duty: Ghosts for the second spot, while the third spot was captured by the Fable Anniversary, a new entrant in the gaming arena, bringing Tom Raider go down by three spots. Despite of reclaiming the top spot, the game has seen declining sales, almost down by 22 percent last week, while Tom Raider: Definitive Edition also took a big hit and saw a 57 percent decline in sales. In the rankings, Call of Duty: Ghosts went up from the third spot to the second, while Lego Marvel Superheroes remained at the fifth spot. Battlefield 4 also saw a sharp decline in the ranking as the game was ranked fourth last week. Which is your favorite game from the list? Share with us using the comments below.